Founded in 2010 and headquartered in Addison, Texas, Nerium International is a skin care and cosmetics company in the multi-level marketing industry. 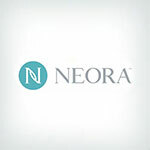 The company is a result of an accidental discovery in the Nerium Biotechnology laboratory as scientists were researching possible uses of the Nerium oleander plant. The researchers discovered that the extract of the plant delivered significant anti-aging results when applied to the skin. A proprietary extraction process was then developed and Nerium International's flagship product, NeriumAD, was born. Potential distributors should compare Nerium to the top MLMs in the industry before making a final decision. Nerium International offers a compensation plan that gives independent distributors the ability to earn free products. For every three customers that sign up for a monthly auto-ship order, Nerium International will give the independent distributor a free month's supply of product. Distributors can also earn a free bottle for every auto-delivery order sold. Independent distributors can use their free earned products personally or build an inventory that they can then sell to others. Active independent distributors can earn between 10 and 25 percent commission on product sales. Distributors can also earn $50 to $325 when they sell a success pack to a newly-enrolled independent distributor within their first 30 days. In addition to sales commissions, Nerium International offers customer acquisition bonuses that are paid out on a weekly basis. Other financial incentives include Lexus bonuses, fast start bonuses, iPad bonuses, and coaching commissions. Nerium International claims that its product line is clinically proven and independently tested to ensure the highest level of safety. The third-party clinical trials use advanced scanning technology and strict protocols to measure skin improvements. Nerium International offers its customers a full 30-day money back guarantee. Return and cancellation information can be found on the company's corporate website. In 2014, Nerium International raised over $1 million for nonprofit organization Big Brothers Big Sisters. The company also supports other charitable organizations, including Live Happy, World Vision International, and the SUCCESS Foundation. Distributors must maintain a 70 PV minimum each month in order to be eligible to receive commissions. Some consumers have reportedly experienced adverse reactions as a result of using Nerium International's products. The most notable side effects appear to be rashes and itchy skin. Consumers are advised to read product ingredients carefully. Individuals who have medical conditions or take prescription medications may want to consult a physician prior to use. Nerium International is skincare company whose product line focuses on providing anti-aging benefits. The company's independent distributors have the opportunity to earn commissions, bonuses, and free products. However, the upfront cost to join as an independent distributor can be relatively expensive. Additionally, Nerium International requires distributors to maintain monthly personal volume minimums. I'm a brand partner I use all the products. Yes, I like some more than others. And the return policy is wonderful! If I don't like it, I return it for one I like better. That simple. This company truly has amazing products helping miraculously with health! On the business side they go above and beyond to not only make it affordable but also easy to succeed! I really enjoyed using Nerium products. I thing they are really nice. However, they are just a bit too pricey for me. I do think they are better than what can be bought in the stores, but it's hard to afford them, so I am giving them 4 stars. Best products & customer service ever! I use every product, love the results, and have never felt or looked better. I have tried many of the othe products out there and Nerium is by far the Best!! I started my Nerium business 4.5 years ago. The product, Night Cream which was the only product available at that time, transformed my skin and confidence! I earn my products for free each month, make enough to pay my bills working part-time and I drive a paid for car! I'm happy and my customers are happy too. I am a professional, skin care addict and have used many, many "high end" products in my lifetime. Nerium's products deliver the results that other products promise and don't deliver, IMHO. Yes, I am an independent brand partner who loves the culture, the products and the professionalism of corporate leaders. My background is Wall St., Real Estate Development and Fundraising. I looked deeply into this company before I joined because had I still worked on Wall St., I would have advised all of my clients to invest as much as their capital as they could into this company. Nerium is going places, has broken records and is still a ground floor opportunity for anyone interested in taking a look. BTW, I joined without having tried the product (which at that time was only the night cream) but the before and after pictures coupled with my evaluation of the company and science, made my decision a no brainer. I love Nerium! I recently became a Senior Brand Partner and work strictly part time. I like the product, the people, and the Nerium system. Products arrive on time, payments are made / received on time, and the compensation plan is great. Also, the upfront cost is not nearly as expensive as other companies. I had a defective bottle, Nerium replaced it immediately. I can call customer service and ask about ANYTHING, they will find an answer for me. The 30 Day Money Back Guarantee makes me feel very comfortable recommending this product to family and friends. I never thought I would work for an MLM company, but the structure of Nerium is modern and fair. I think it's a wonderful company. Best anti aging products. All products are developed using proven scientific research. EHT is a supplement everyone should take for proper brain health. New, research based products are being added to the company this year, which will make the compensation even better for brand partners. I started of just as someone sampling the product for a friend. Loved the results so I became a brand partner. My deliveries are always right and on time. I had a customer wanting get a refund because it didn't work out and she was completely satisfied with the wheel experience. She was happy about the guarantee and how easy the return process was. Dealing with customer service is amazing. They know exactly how to help in any situation. I am a Brand Partner and love all the products! The payout is fantastic and it is fairly easy to earn the Lexus bonus. Love the company and the products! The products are all natural and they WORK! Great customer service and LOVE the science behind the results! I am a Senior Brand Partner with Nerium and I love the company! I have had a wonderful experience with the results of the products. The business model is fantastic: Low start up, no mandatory inventory, I receive all of my products for free!! Nerium does it right!! I'm a Brand Partner. I love the products (my skin has never felt better) so I made the decision to start my own business and sell it myself. The training is really comprehensive and the tools are fantastic. It's as if they really care about my success! The support I've received from the Brand Partners before me is really great and there is never any pressure for anything. They just want me to succeed since obviously we all succeed together. They leave out the part for distributors also paying $32 a month and change for most of the back office that is useful in recruiting and selling products. Also, recruiting a new distributor, unless you get 3 in the very first month, pays your upline a lot more than YOU. That is the main reason I went to a company that gives the recruiter 10x more than upline; I could not in good conscience recruit people once I knew how hard it was for them to recover their investment and how expensive for site and required autoship. Been using the product for 6 months my skin is transforming it is Awesome! I have been using this cream for 3 years and I love it. I wish I had it in my 20's. Nerium is awesome! The products work, and the compensation plan ROCKS!! This company really cares about making people better!